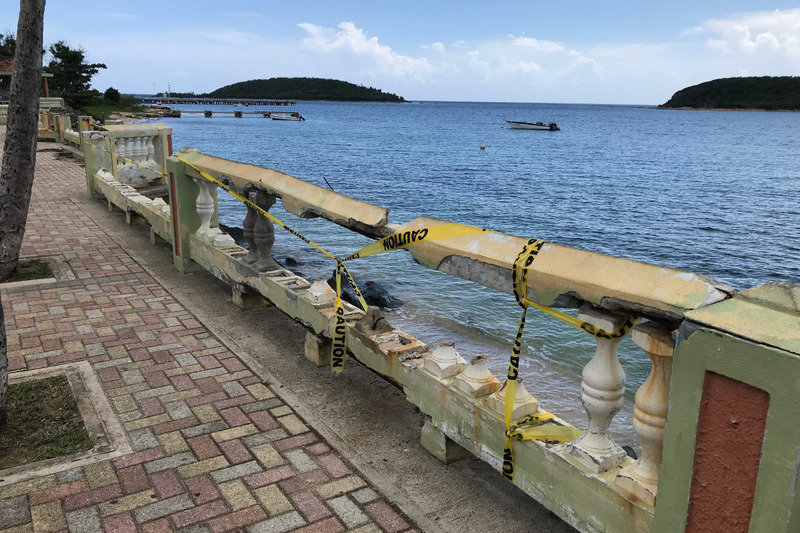 On September 20, 2017, Hurricane Maria struck Vieques, Puerto Rico and caused wide-spread damage and destruction, leaving its residents without water, electricity or communication abilities. 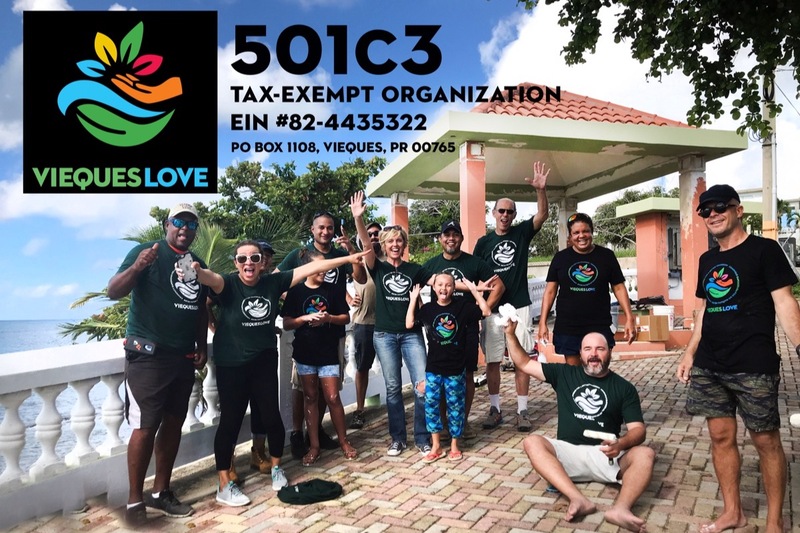 ViequesLove was formed on the night of the Hurricane with the intent to provide support in whatever way possible to help the island to recover and to have a more sustainable future. Our first priority was to communicate with people on the island by sending satellite phones in by a private plane. This communication led to the stark realization that help was not coming fast enough. ViequesLove would need to step into the role of providing immediate relief until federal aid arrived. Our team first tackled the job of getting a private plane to directly land on Vieques full of supplies and satellite phones to establish communication on and off the island. We formed a team working round the clock in the states and connected to our friends on the island who were doing the same and became our team on the island. But it was you, our donors, who enabled us to get help to the island right away and avert catastrophe. Won’t you unite with us as we tackle the next phase of work? It will be slower and less dramatic, but essential to the long-term health of this little Caribbean island. In addition, building a 21st century infrastructure will produce a showcase for communities everywhere that are interested in energy independence, ecological preservation, adventure tourism, sustainable economic development, networked education, and a synergistic health-care delivery system. ViequesLove is committed to these ends. Please join us by donating now! Let us put your donation to work for our future. ViequesLove, po box 1108, Vieques, PR 00765. ViequesLove is a 501c3 tax-exempt organization. EIN #82-4435322 As of 11/1/18, ViequesLove began managing money from this GoFundMe directly as a 501(c)(3). We'll be forever grateful to our former fiscal sponsor COREFI for helping us administer funds from this campaign before that date. ViequesLove landed a plane directly on Vieques five days after Hurricane Maria had passed, bringing satellite phones, cash and supplies. The up-link phones allowed residents to know that they were not forgotten, to call loved ones, and enabled first responders to communicate with each other and the outside world. Until that time, Vieques had been completely cut off from all forms of communication, both internally and externally. Became the connecting link to citizens, press, medical assistance, elected officials, government agencies and groups wanting to help. The communication provided by the satellite phones instantly made ViequesLove the crucial link to Vieques when no other form of communication was possible enabling the long distance “handshake’ with those hands extended to help and the hands on Vieques ready to receive, coordinate and distribute. This net of donors across the states provided the backbone of our logistical challenge—while the sat phones and team on-island were the arms and legs making coordinating and receiving possible. ViequesLove also became a partner to agencies responsible for island infrastructure and could immediately acquire emergency pumps, parts, fuel and technicians for repairs to avoid potential disasters and health hazards. 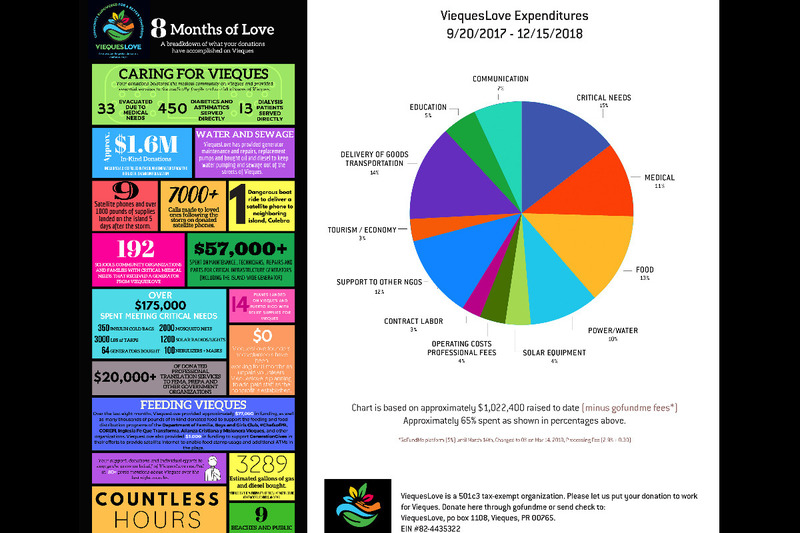 ViequesLove provided logistical and financial support to move over a million dollars of in -kind donations to the island and continues to be a friend to many of organizations assisting Vieques. Stocked the hospital with medicine and supplies by landing a plane nine days after the storm. Evacuated 33 people, flew dialysis and cancer patients to Puerto Rico for treatment, provided nebulizers and insulin bags for asthmatics and diabetics and purchased oxygen machines and other medical equipment for those in need. Distributed approximately 190 generators to schools, community organizations and families with critical needs and medical equipment requiring power. Seventy-five of these were donated solar generators. Provided cash in what had instantly become – with no electricity -- an “all cash” economy. ViequesLove paid for fuel for police and emergency vehicles, for generators at the hospital, bought critical lifesaving medicine and ice for diabetics and the elderly center. Partnered with Generation Gives to provide satellite internet to restore ATM and food stamp service. ViequesLove was able to provide critical needs that were not being sent by other organizations effectively while not overlapping purchases. Mattresses, wheelchairs, vein finders, cisterns, nebulizers, insulin bags, mosquito nets, oxygen machines, solar radios, solar panels and generators are just a few of the items provided. ViequesLove has established a new net of communication programs to ensure the connection for the future. Along with a satellite phone network, ViequesLove has partnered with other organizations to create a HAM radio network allowing communication off-island as well as a web of VHF radios to connect agencies, individuals and fishermen (first able to respond) strategically over the island. Works for a better tomorrow. ViequesLove has been financially supporting many projects rebuilding or reinvigorating the economy. We have repaired the lower section of the Esperanza Sugarcane pier, partnered with Navarro Construction in repairing the fishermen’s pier and the Malecon, and financed the cleanup of many sites on the island including SunBay, Esperanza beach and La Parque de Ceiba. A substantial donation was made to Vieques en Rescate to add a cancer treatment center and to the Montessori school cafeteria rebuild. We support the rebuild and repair of damaged homes through HopeBuilders by providing monthly financial support for two full time workers. To date approximately 60 homes have been repaired. • Because there was no electric power, the economy became “all cash” with most residents caught with little available currency. ViequesLove provided immediate cash through private loan for medicine, gas, ice, food, toiletries, nebulizers, car batteries, and accommodations for critical cases. This assistance continued for the purchase of gas for emergency management vehicles, police vehicles, and portable generators. • ViequesLove sent in the first airplane, five days after the storm, filled with relief supplies, satellite phones, cash, and a team member to assist the ground team. The plane then evacuated a brain cancer patient on its return flight who needed to continue treatment in the States. • Purchased and distributed satellite phones to enable and coordinate emergency communications on-island, with US and Puerto Rican governmental agencies, with other private relief agencies, and the rest of the world. • Set up free call centers for residents on Vieques to make initial contact with loved ones elsewhere, and then periodically to update their recovery status. • Paid certification training costs for new Emergency Management Personnel. • Paid for cell phones and monthly cellular plans for Emergency Management and police to establish communication among themselves and with each other. • Received a donation of the contents of a C130 military plane loaded with survival gear and hired a military disaster relief expert to help pack and accompany the plane to facilitate distribution on the ground. • Purchased solar powered lighting for the Ferry Pier, Cayo, and FWS lighthouse to ensure the safety of nearby vessels traveling at night. • Financially supported the non-profit “Generation Gives” which provided satellite WI-FI connections, allowing critical food stamp and ATM systems to restart, reducing cash needs. • Working through numerous contacts in the media, gained important coverage for Vieques and established a case for our own critical needs even in the midst of the parallel disaster in the rest of Puerto Rico at large, which was overwhelming any attention that otherwise might have been directed to us. • Became the intentional information hub through which other organizations could provide immediate help. • Accepted and directed in-kind donations of all kinds of supplies for distribution through whatever existent organization was best positioned to be effective. • Provided all the on-boarding agencies (FEMA, Tesla, Red Cross, National Guard, Army Corps of Engineers, and others) as they arrived and throughout their stay with no-cost translation services, local knowledge, and logistics. • Traveled to Washington D.C to meet with elected officials and advocate for both accelerated and long-term electric power solutions. 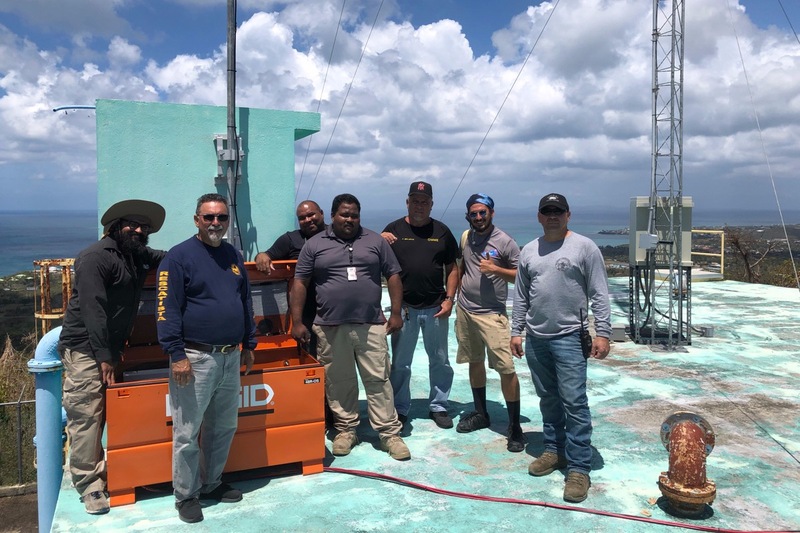 • Initiated and funded a HAM Radio program in collaboration with Radio Vieques, William Patterson University, and KP4 operator Alberic Medina as a critical hedge against any future communications black-out. • Funded a VHF Radio Program initiated by Que Fe Transforma. • Pre-purchased minutes of use for four satellite phones in preparation for the 2018 hurricane season, just in case. • Donation to Water Rescue Foundation for atmospheric water machine parts. • Distributed hundreds of water filters donated by other non-profits. • Supplied water to community groups for distribution across the island. • Purchased pumps for the sewage treatment plant and paid for parts to keep those pumps operating. • Wired $20,000 to the Food Bank of Puerto Rico enabling them to deliver shipments of food by ferry to clients on Vieques. • Purchased numerous truckloads of rice, beans, meat, fruit, juice, and soup from Puerto Rican distributor and delivered to churches, Boys and Girls Club, Corefi, the Municipal Government, and Department of Familia to distribute to residents. • Transported 40 pallets of MREs to Vieques and collaborated with Corefi for distribution. • Supported El Blok, Bili, Fe Que Transforma, Boys and Girls Club, Corefi and Alianza Cristiana with food and hot meal delivery programs. • Fully stocked the hospital with medicine. • Evacuated 33 medically fragile, elderly, and asthmatic to mainland PR and the US. • Paid for flights for dialysis patients for necessary treatment. • Supplied health and hygiene products to the elderly and infirm. • Purchased insulin coolers for diabetics. • Provided promotion and logistical support for ongoing medical clinics. • Paid for shipping and delivery of donated goods from Stateside to Vieques. • Supplied numerous solar lights, tarps, tents, solar radios, and water filters. • wheelchairs, mosquito netting, extension cords, chainsaws, tools, baby items, insulin bags and more. • Purchased wheelchairs, wheelchair batteries, oxygen machine, veinfinders and other essential medical equipment destroyed in the storm. • Purchased a second shipment of medicine to stock the hospital. • Purchased and delivered new mattresses to replace water damaged and moldy mattresses; acquired 95 additional donated mattresses. • Donated generators, food and toiletries to set up a temporary refuge at Simmons School. • Purchased pump for water company. • Purchased drill for electric company. • Supplied ladders and pressure washers to HopeBuilders. • Supplied 73 solar generators to sick and elderly patients requiring life-support medical machinery. • Purchased 64 additional gas generators for schools, community organizations, families with medical needs, and the hospital. • Repaired electric and rebuilt meter at the house of the final resident to receive power more than 6 months after the storm. • Paid for parts, oil, and maintenance for generators. • Purchased parts to connect large island generators to gas supply. • Purchased building supplies for homes in dire need, and collaborated with volunteers to help those who could not manage their own repairs. • Paid for generator technicians to keep essential generators running. • Screened windows and doors of schools against mosquito swarms. • Supplied cisterns to the high school. • Bought gas for school generator. • Emergency cleaning supplies and health kits to schools. • Paid for exterminating pest infestation in schools. • Purchased equipment to supply internet in schools to assist teachers and administrators. • Purchased lights for the outdoor sports court for high school. • Supported the Montessori school rebuild of the cafeteria. • Supported Vieques en Rescate cancer treatment facility. • Purchased computers for the Vieques Conservation and Historical Trust. • Cleaned SunBay of storm debris. • Repaired lower dock of Esperanza Sugarcane Pier. • Collaborated on a campaign to restart tourism with Lewis Communications. • Sponsorship to the annual Cultural Festival at Fortin Conde Mirasol. 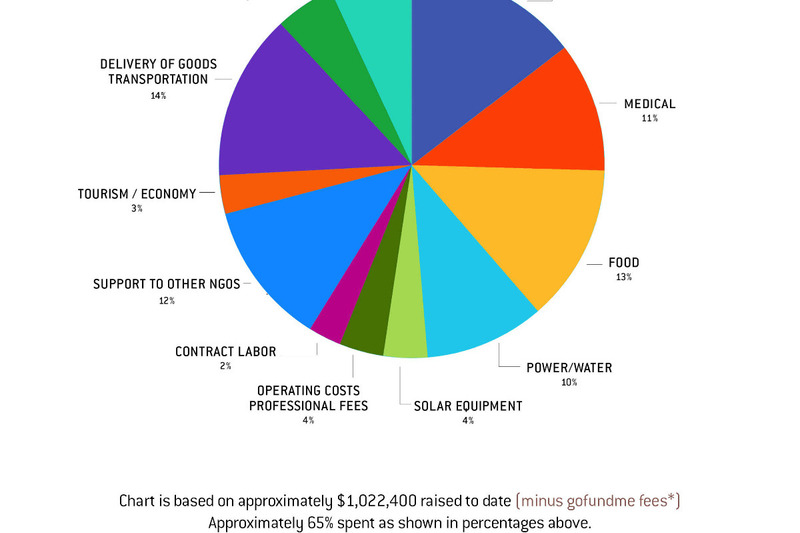 • Paid for Finca Consciencia to attend Earthship workshop in Puerto Rico. • Assisted in the rebuild of the Esperanza Fishermen’s pier. • Funded repair of Esperanza’s Malecon and organized volunteer group painters. • Ongoing monthly support to HopeBuilders for two full-time workers to repair damaged homes. • The removal of 20,000 tires from Vieques to a receiving facility in Puerto Rico. As ViequesLove goes into the new year, there are many things in discussion such as providing grantwriting help to our not-for-profits to take advantage of post-Maria available grants, working with national architectural schools for design ideas for sustainability, supporting revitalization of the tourist economy though cultural and eco tourism campaigns, and continued collaboration with all organization working for Vieques. Stay tuned for more! ViequesLove is dedicated to providing the tools for preparedness and today was a great day for our communication web. 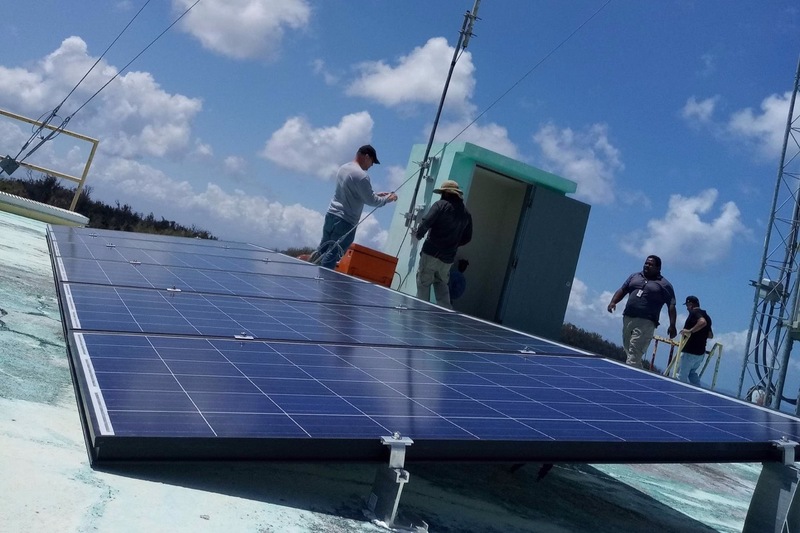 Thanks to a collaborative effort with ViequesLove the Office of Emergency Management, Sail Relief, Mountain Communications, and the Municipal government, a solar powered antenna now provides connection island-wide. Imagine your world without cell service, phone lines, text, internet, television, radio, long range radio or short wave radio. Now imagine that for 6 months. 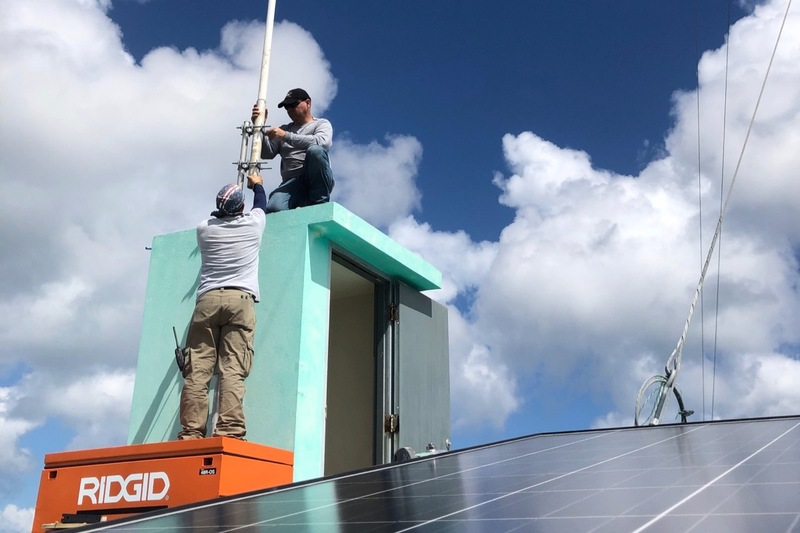 Vieques will never be without communication tools again thanks to lessons learned from Hurricane Maria turned into powerful community solutions. ViequesLove has supported and collaborated with numerous organizations to put a system of tools in place including HAM Radios, VHF Radios, Satellite phones, garmins, and satellite internet on the ready if needed. Equipment, base stations and mobile units are strategically placed throughout the island and programs are facilitated by Fe Que Transforma, Alberic Medina, OMME, Radio Vieques, VCHT, local agencies and individuals making this a collaborative, community wide effort. There is work yet to be done to test and supplement the communications web but this is a great effort from many and a great success for the community! ViequesLove se dedica a proporcionar las herramientas para la preparación y hoy fue un gran día para nuestra red de comunicación. Gracias a un esfuerzo de colaboración con ViequesLove, la Oficina de Manejo de Emergencias, Sail Relief, Mountain Communications y el Gobierno Municipal, una antena con energía solar ahora ofrece conexión en toda la isla. Imagine su mundo sin servicio celular, líneas telefónicas, texto, internet, televisión, radio, radio de largo alcance o radio de onda corta. Ahora imagina eso por 6 meses. Vieques nunca volverá a estar sin herramientas de comunicación gracias a las lecciones aprendidas del huracán María convertidas en soluciones comunitarias poderosas. Si es necesario, ViequesLove ha apoyado y colaborado con numerosas organizaciones para implementar un sistema de herramientas que incluye radios HAM, radios VHF, teléfonos satelitales, garmins e internet satelital. El equipo, las estaciones base y las unidades móviles están estratégicamente ubicadas en toda la isla y los programas son facilitados por Fe Que Transforma, Alberic Medina, OMME, Radio Vieques, VCHT, agencias locales e individuos que hacen de este un esfuerzo comunitario y de colaboración. Aún queda trabajo por hacer para probar y complementar la red de comunicaciones, ¡pero este es un gran esfuerzo de muchos y un gran éxito para la comunidad! The girls volleyball team of Galeton Area School in northern Pennsylvania donated a volleyball net and 6 game balls to the Vieques volleyball clubs. Galeton Area School has is located in the Allegany mountains of Pennsylvania and has only 360 students in grades pre-K -12. The school connected with ViequesLove to offer and send a donation of used equipment to the Vieques teams that could use it! Vieques does not have organized sports teams within the school system so the students have only the option of joining clubs and playing against each other or traveling by ferry to play teams on Puerto Rico. The sports clubs usually have fundraisers to purchase equipment or the volunteer coaches pay for it out of their own pocket. This donation was very much appreciated by the team! Well played Galeton Area School! If you would like to connect a school in your area to donate sports equipment, computers or tablets, printers, projectors, tvs or musical instruments, please contact us. If your son or daughter would like to make this a project to connect their school to a school on Vieques , please contact us through our facebook page. Esto es amor al prójimo. El equipo de voleibol de niñas, de la escuela de Area de Galeton, en el norte de Pensilvania, donaron una red de voleibol y 6 bolas de juego, a los clubs de voleibol de Vieques. La escuela de Área Galeton, está localizada en las montañas Allegany de Pensilvania, y tiene sólo una cantidad 360 de estudiantes en lo grados pre-K -12. La escuela conectó con ViequesLove para ofrecer y enviar una donación de equipo usado a aquellos equipos en Vieques que puedan utilizarlos. Vieques no tiene equipos de deportes organizados dentro del sistema escolar, los estudiantes sólo tienen la opción de unirse a clubs y jugar entre ellos, o viajando por lancha para jugar con equipos de Puerto Rico. Los clubs de deportes por lo regular recaudan fondos para comprar equipo o los entrenadores voluntarios los compran con su propio dinero. Esta donación es muy apreciada por el equipo! Muy bien jugando escuela de Área de Galeton! Si usted desea conectar una escuela en su área, para donar equipo de deportes, computadoras o tabletas, impresoras, proyectores, tv’s o instrumentos musicales, por favor comuníquese con nosotros. Si su hijo(a) desea hacer de esto un proyecto, el de conectarse a estudiantes aquí, comuníquese con nosotros. Somos Uno! We Are One! We have exciting news to report for Vieques! 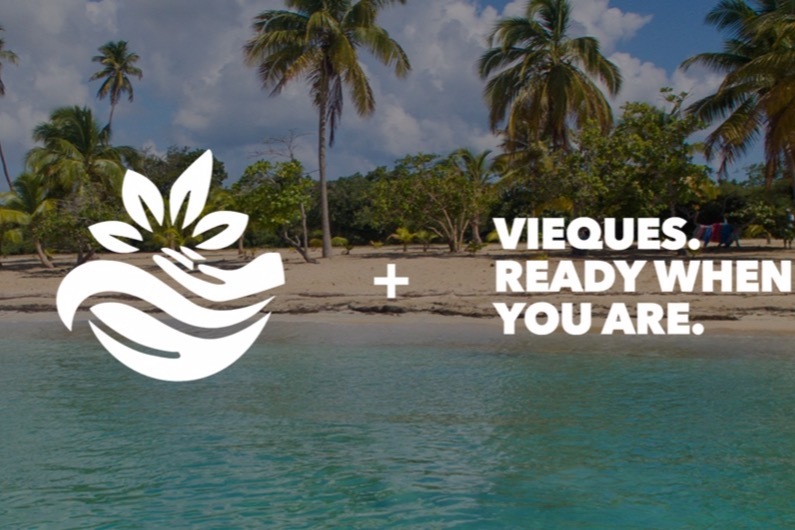 You may already be familiar with Vieques - Ready When You Are, a marketing campaign designed to let the world know that Vieques is open for business. Created at no charge by Birmingham-based Lewis Communications in partnership with ViequesLove, the effort was begun by creative director Stephen Curry, who has been coming to Vieques for 18 years. Now, we are taking this effort to another level. The campaign’s social media efforts thus far have relied upon shared posts from members of the Vieques community. We have done an outstanding job of reaching people who have a connection to the island, or have visited previously. As of now, via Facebook, Instagram, and Twitter, the campaign has already generated 400,000 positive impressions for Vieques. Now, we’re reaching out to a much wider audience. A $5000 paid media campaign on Facebook will be funded by ViequesLove for four months, and designed/executed at no charge by Lewis. This will put Vieques in front of thousands of new potential visitors - people who have never been here and aren’t yet familiar with our beautiful island. Our campaign will target adventurous travelers in cold-weather US cities who are a direct flight from San Juan. We’ll continue to refine our audience based on what we learn as the ads run. We will be reporting periodically on the progress of the campaign. We are excited to support this effort and the businesses of Vieques during this 2019 season. Tenemos noticias excitantes que informar para Vieques! Puede ser que usted ya esté familiarizado con la campaña de mercadeo, Vieques - Listo Cuando Tu Lo Estes, diseñada para dejarle saber al mundo que Vieques ya está abierto para negocios. La campaña fue creada libre de costo por la compañía de Comunicación Lewis, basada en Birmingham, y en colaboración con ViequesLove. Este esfuerzo fue originado por el director creativo Stephen Curry, el cual ha estado visitando Vieques por 18 años. Ahora, estamos llevando este esfuerzo a otro nivel. Hasta ahora, los esfuerzos para llevar a cabo esta campaña, han dependido de ser compartidos a través de los medios sociales por miembros de la comunidad Viequense. Hemos hecho un trabajo sobresaliente de llegar a personas que tienen una conexión con la isla, o la han visitado previamente. Hasta ahora via Facebook, Instagram y Twitter, la campaña ha generado 400,000 impresiones positivas para Vieques. Ahora, lograremos llegar a una audiencia más amplia. Una campaña por un costo de $5000 fundada por ViequesLove, aparecerá en los medios sociales a través de Facebook, durante cuatro meses. La misma fue diseñada y ejecutada por Lewis libre de costo. Esto expondrá a Vieques a miles de potenciales visitantes - personas que nunca han estado aquí y que aún están por familiarizarse con nuestra bella isla. Nuestra campaña, está dirigida a viajeros aventureros en ciudades con climas fríos en los EU, y con vuelos directos a San Juan. Continuaremos refinando nuestra audiencia basado en conocimientos adquiridos mientras los anuncio corren su curso. Estaremos informando periódicamente sobre el progreso de la campaña. Estamos emocionados al apoyar este esfuerzo y a los comercios de Vieques durante la temporada del 2019. 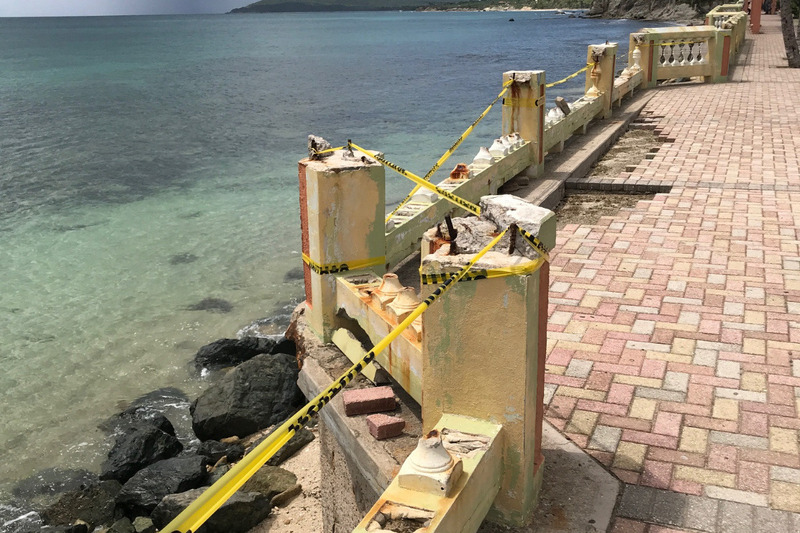 ViequesLove is proud to provide $25,000 in materials to repair the Esperanza Malecón that was badly damaged by Hurricane Maria. Large sections of the balustrade were destroyed and areas of brick sidewalk washed away creating dangerous drop offs and gaping holes in the walkway. The repair effort is a collaboration with the municipality who will provide the skilled labor and Claritza Navarro of Navarro Construction to oversee the reconstruction. Claritza has already begun securing the area and materials are ordered. A separate initiative for solar lighting is being researched to make sure the lights would not contribute to light pollution or effect turtle nesting. ViequesLove has committed the funding for materials and the island businesses are rallying to make this a community wide effort to support fundraising efforts for this and other needs on the island, proving once again, that there is nothing more powerful than neighbors helping neighbors. ViequesLove se enorgullece de proveer $25,000 en materiales para la reparación del Malecón en la Esperanza, este sufrió danos mayores por el huracán María. Grandes secciones de las barandillas fueron destruidas y áreas de las aceras fueron destruidas por el agua, creando peligrosos declives y grandes hoyos en las aceras usadas por peatones. Este esfuerzo para la reparación se hace en colaboración con el Municipio, el cual proveerá la mano de obra y con Claritza Navarro de Navarro Construction los cuales se encargarán de supervisar el proyecto. Claritza ya comenzó las labores de asegurar el área y ordenar los materiales. La reparación al Malecón se considera un parcho de necesidad urgente, para asegurar la seguridad de los residentes y visitantes. Las barandillas que permanecen de pie están flojas y el metal por dentro del concreto esta corroído. FEMA se ha comprometido a proveer fondos para un estudio del área y la reconstrucción permanente al Malecón. Nuestros esfuerzos comunitarios para asegurar y embellecer el área del Malecón, en ninguna manera afecta la reconstrucción permanente con fondos de FEMA. Las mejoras de seguridad ya han comenzado y esperamos que estén completadas y aseguradas para las Navidades. Por separado, se lleva a cabo una investigación sobre la provisión de alumbrado solar, para asegurar que el alumbrado no contribuya a la contaminación lumínica y no afecte el anidamiento de las tortugas. ViequesLove se ha comprometido a proveer los fondos para los materiales y, los negocios a través de la isla se unen, para hacer de esto un grupo comunitario de apoyo al esfuerzo de recaudación de fondos para esta y otras necesidades en la isla. Una vez más probando que no hay nada más poderoso que vecinos ayudando a vecinos.